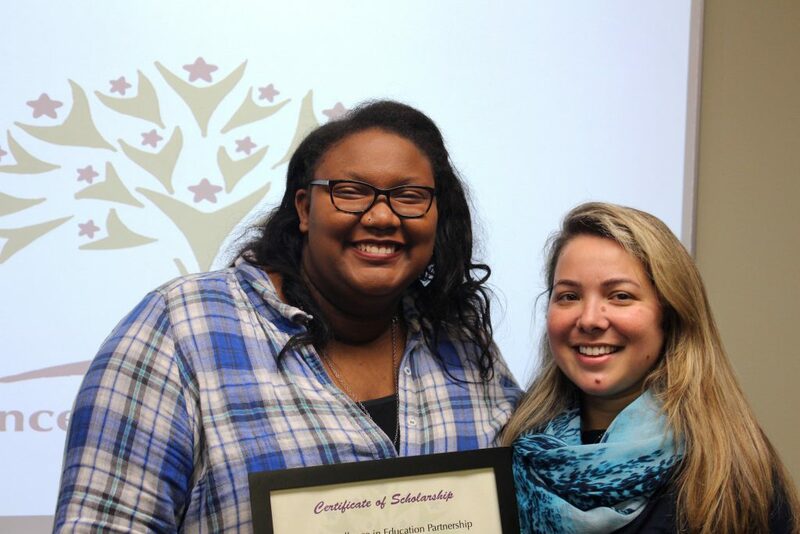 The Kane Excellence in Education Partnership and Kane County Teacher’s Credit Union have chosen Batavia High School graduate Heaven McCoy to receive the $1,000 Kane Excellence in Education Partnership Youth Scholarship. 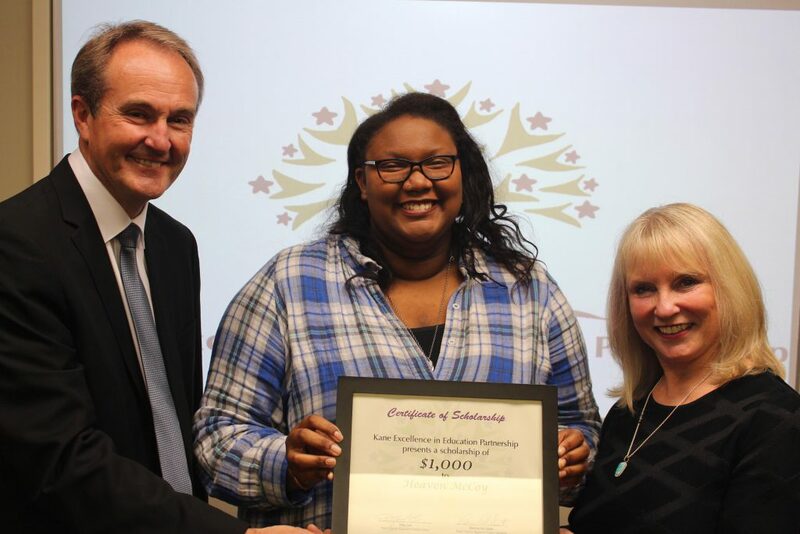 McCoy was awarded the scholarship on Oct. 1, 2017 by Kane County Regional Superintendent of Schools Patricia Dal Santo and KCTCU President Michael Lee. McCoy will be pursuing a college degree in psychology. Lee said KCTCU is committed to the communities it serves.